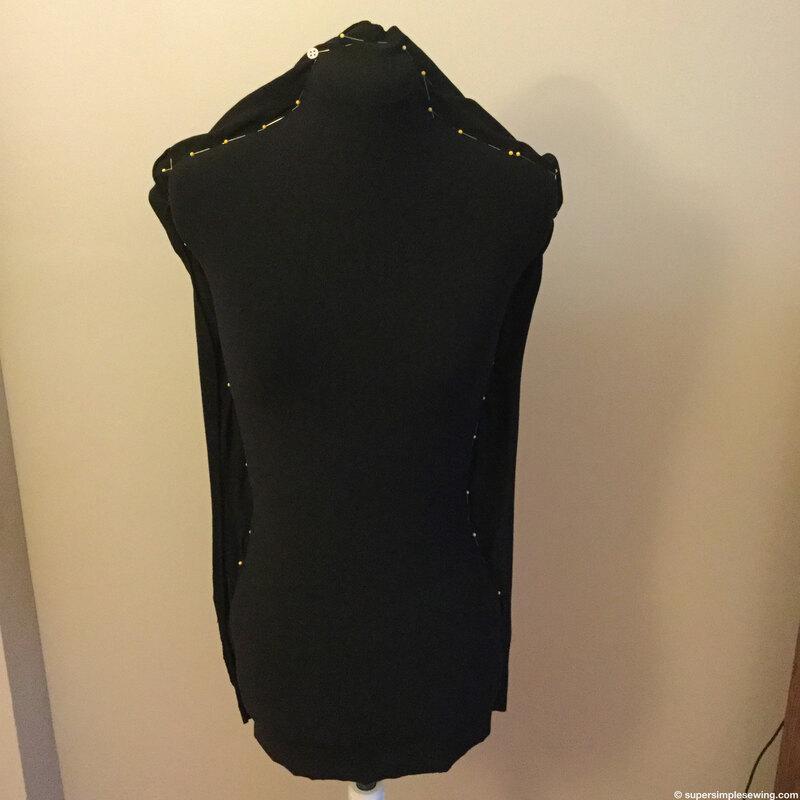 I have a dress form but I wanted to take picture of my work without the visual clutter of knobs and gaps. 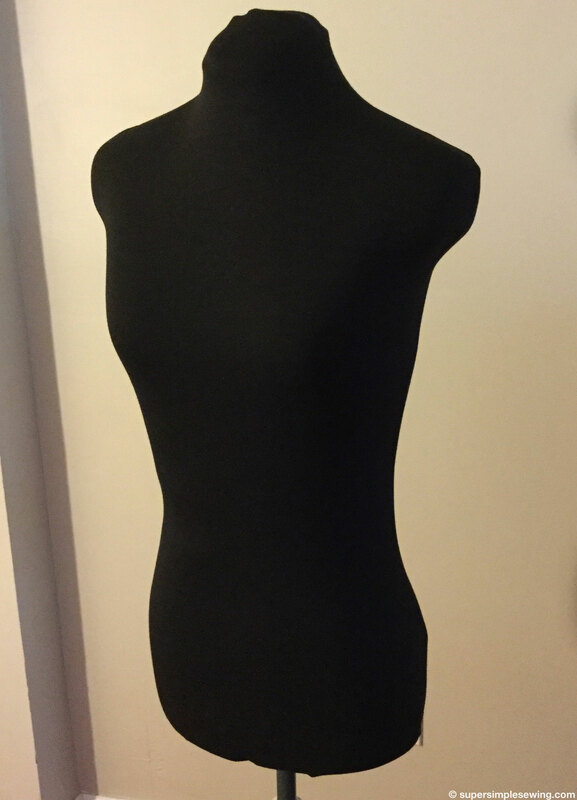 I have made a basic shirt to cover my dress form to create the look of a display mannequin. 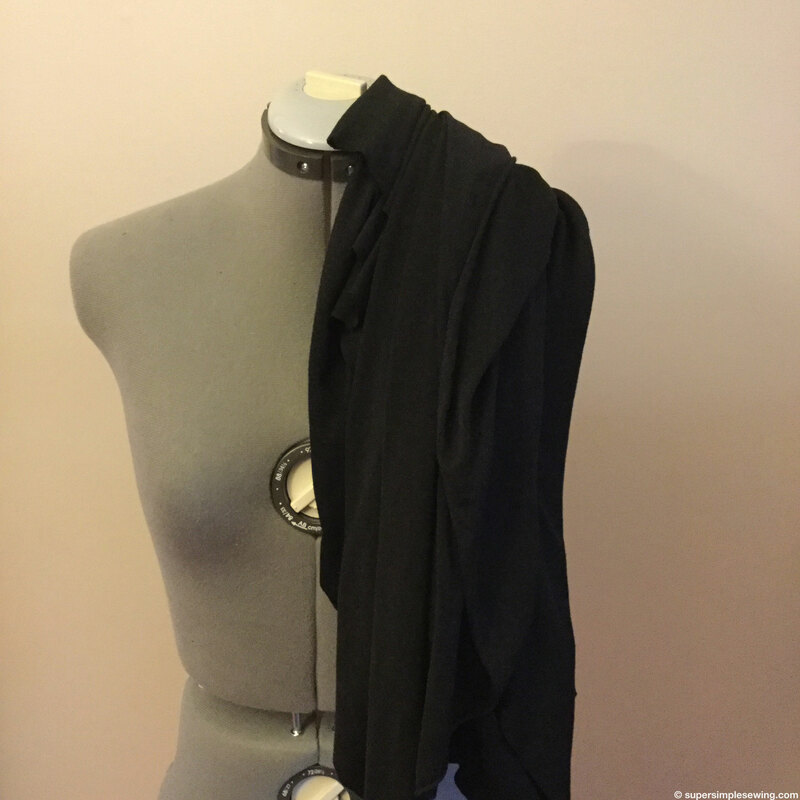 Take 2 pieces of knit and cut them slightly larger than the overall size of the form. My dress form needed 2 18″ by 30″ rectangles. Then pin them together snugging them up close to the form. 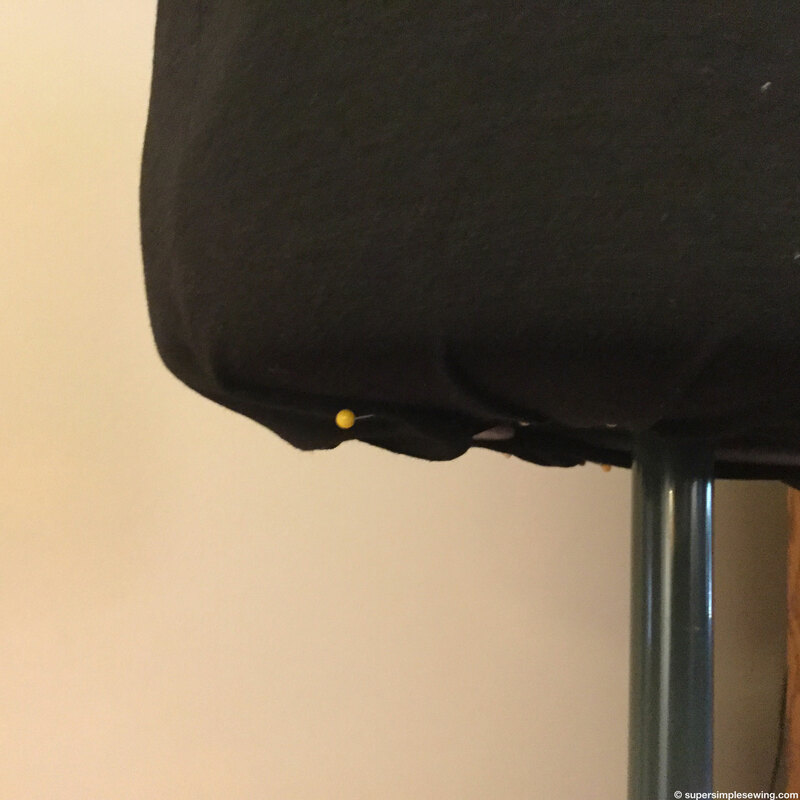 Be sure to leave enough room to be able to get the “shirt” off the form. Sew along marked line. Black on black, sorry you can’t see very well. 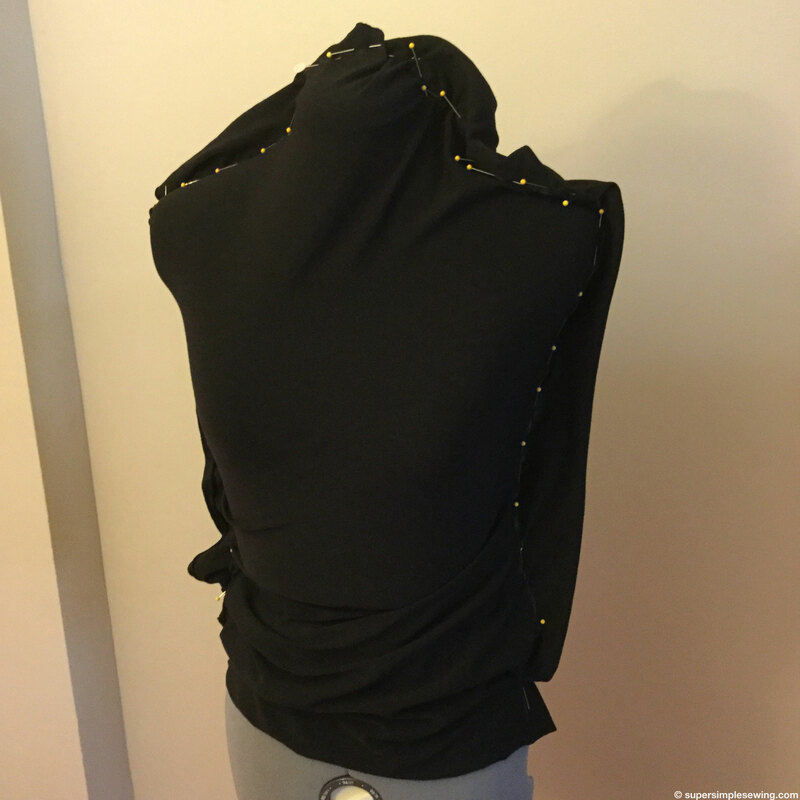 I used a straight stitch stretching the fabric as I sewed. 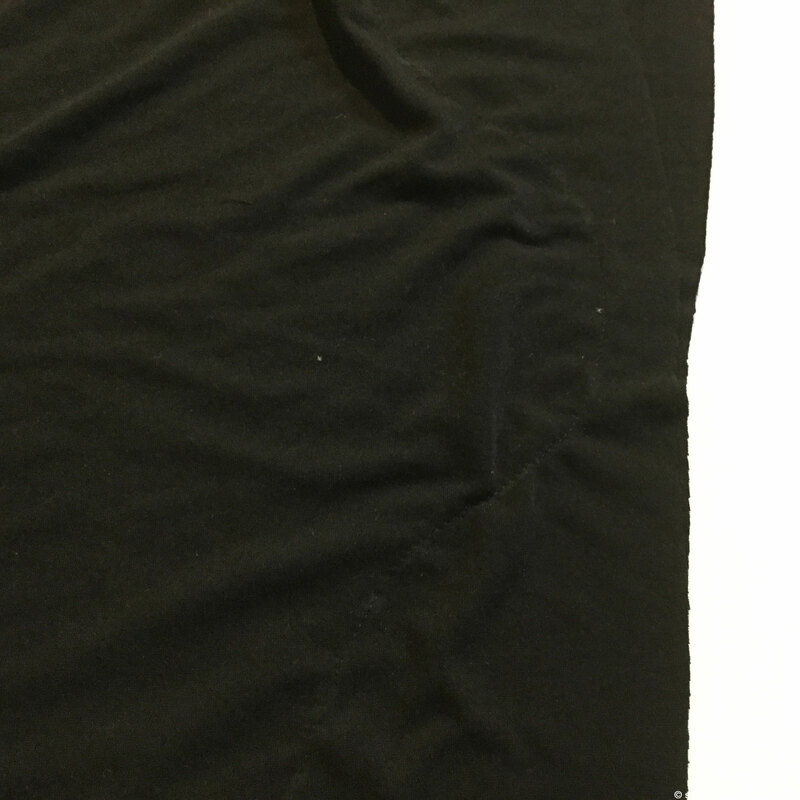 This gave the stitches flexibility to get it over the form without cracking the seam. You could use a narrow zigzag stitch as well. 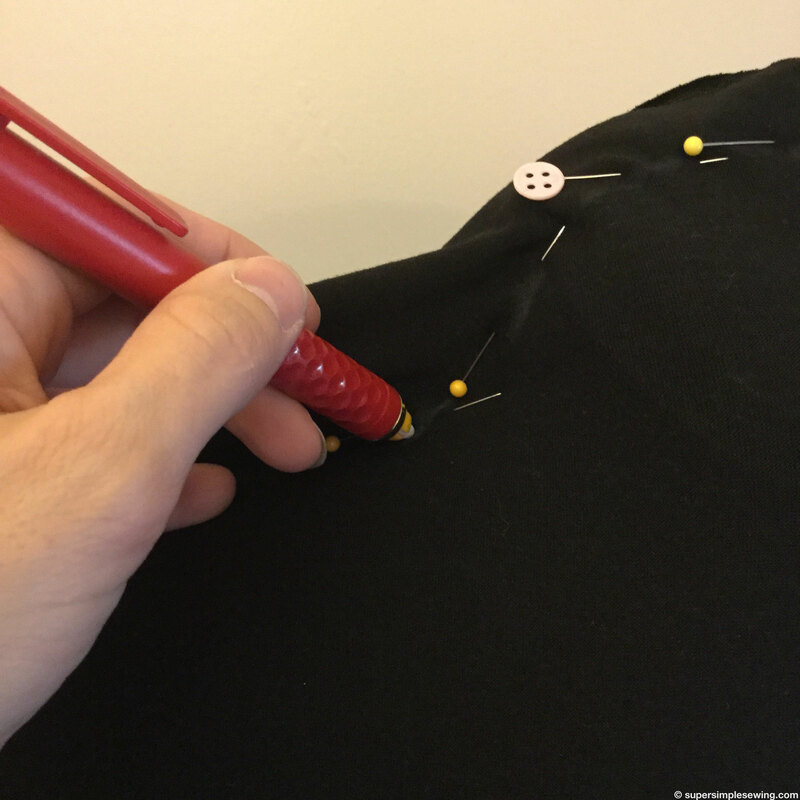 When using the zigzag stitch you don’t need to stretch as you sew. 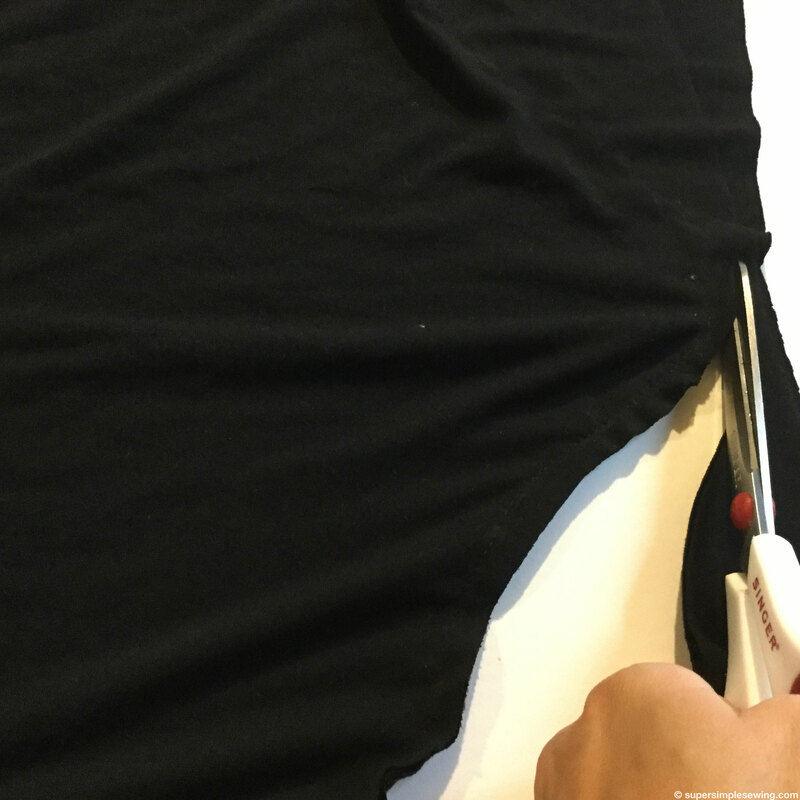 Trim away excess leaving a 1/4″ inch seam allowance. Turn right side out and slid over dress form. There will most likely be a front and a back so if it fits odd try turning it around. 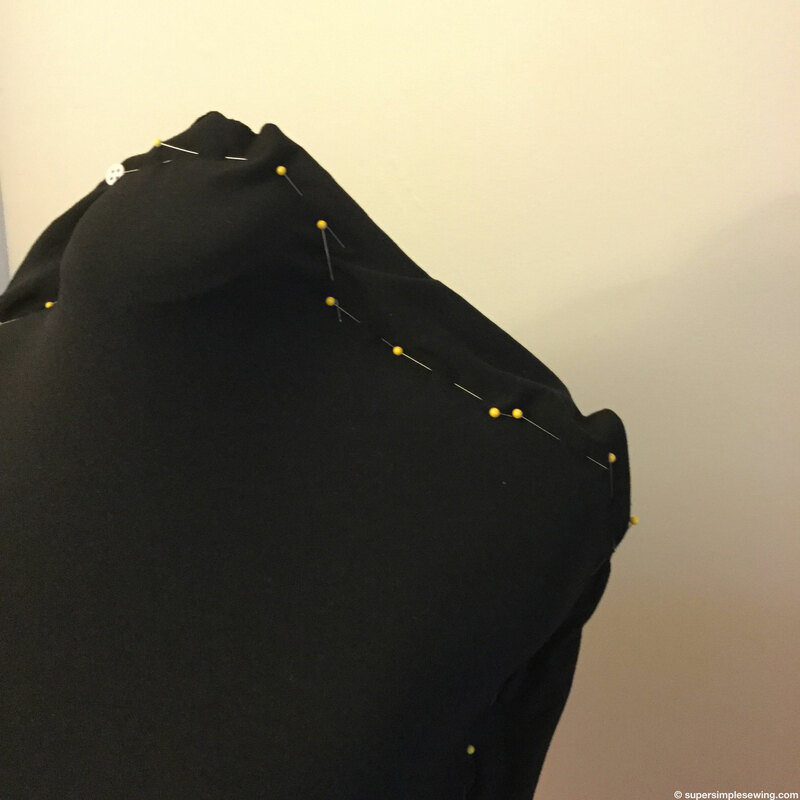 The last step is to pin the extra to the bottom of the dress form. Now you are ready for a photo shoot!